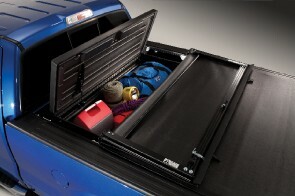 This tool box mounts under a tonneau cover or truck cap for added security. 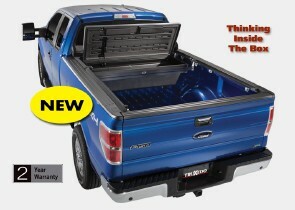 55"x22"x15"
Design allows for front, middle or rear placement in the truck bed. Mounts to bed side to allow for use of the entire truck bed floor.